Virulent and chronic latent viruses have become a significant threat to health and homeostasis for millions of people. Any significant pathogen or toxin can impair the body's neurological and immune systems, mitochondrial energy, and subsequently, methylation function and gene expressions. 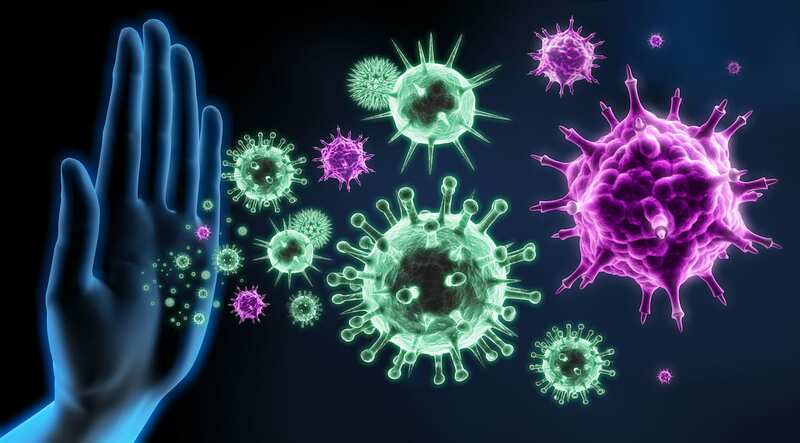 Dozens of viruses are capable of posing this threat, but in this article, I will focus primarily on EBV (Epstein Barr Virus), CFS (Chronic Fatigue Syndrome), and the Herpes family of viruses. Acclaimed researchers Dr. Judy Mikovits and Dr. Frank Ruscetti brought great advances in the field of viral immunity and retroviral science. In particular, their work with Chronic Fatigue Syndrome (CFS) and its associations with the Herpes viruses and certain cancers was ground-breaking. While many doctors and practitioners have climbed onto the methylation bandwagon, unfortunately, CFS and its associated immune disorders are largely still considered to be psychosomatic problems with little understanding of the impacts the syndrome has upon methylation. Dr. Robert Naviaux stated very cleasrly in this Science Daily publication in March, 2013: "When cells are exposed to classical forms of danger, such as a virus or infection or toxic-environmental substances, a defense mechanism is activated. This causes changes to metabolism and gene expression, and reduces the communication between neighboring cells." New research indicates that as many as 55% of people with CFS have a defective form of EBV, making it difficult for the body to recognize the virus and to produce antibodies and cell-mediated immunity against it. (2) Most doctors are of the mind that EBV is "everywhere", that virtually all of the population has been exposed and will carry antibodies to the disease but are not affected by the virus unless it is active. While this may be true in some cases, it is not a reason to dismiss the notion that defective viruses may have pathogenic consequences, causing chronic inflammation and immune compromise in many people. As also emphasized by Drs. Mikovits and Ruscetti, viral latency and aberrant viral behavior can prevent detection and be coupled with the chronic stimulation of many host systems. (3) Viruses may hide in tissues rather than floating in the blood stream. In the process of integrating into body tissues, they may evade and/or silence normal T and B cell functions which would normally attack and purge the virus. A very close affinity for thyroid tissue has been observed with Herpes viruses, especially HHV-6A. (4) Approximately 85% of people with CFS have thyroiditis - EBV is a Herpes family virus. "My doctor says I have "MTHFR", but I feel worse since I started taking the supplements." "My doctor says everyone has had EBV, and it does not matter to my symptoms." "My doctor has been treating my thyroid but nothing is changing." Stunning new research recently conducted by a team of scientists at the Cincinnati Children’s Hospital found links between EBV and seven other major diseases: systemic lupus erythematosus (SLE), multiple sclerosis (MS), rheumatoid arthritis (RA), juvenile idiopathic arthritis (JIA), inflammatory bowel disease (IBD), celiac disease, and type 1 diabetes. These seven diseases combined affect nearly 8 million people in the U.S. The links between EBV and these major diseases were defined as a result of the researchers’ discovery of the unique way in which viral cells hijack the immune system. This action occurs specifically by its invasion of B cells and the reprogramming of those cell functions through the use of tiny proteins called transcription factors. This reprogramming leads to to a potentially massive disruption of normal cell function across multiple points in the body. HSV 1 & 2 are also viruses which place significant stress upon the immune system and therefore can also be in the category of pathogens which upset balances in the methylation pathways. Herpes viruses are very large, double-stranded viruses. They have multiple mechanisms in the immune system by which they are able to avoid cell death. HSVs may persist in a quiescent but persistent form known as latent infection, notably in the neural ganglia. HSV-1 tends to reside in the trigeminal ganglia, while HSV-2 tends to reside in the sacral ganglia, but these are tendencies only, not fixed behavior. During latent infection of a cell, HSVs express latency associated transcript (LAT) RNA. LAT regulates the host cell genome and interferes with natural cell death mechanisms. By maintaining the host cells, LAT expression preserves a reservoir of the virus, which allows subsequent, usually symptomatic, periodic recurrences which are characteristic of non-latency. (8) Let us remember that every single cell in the body is dependent upon ATP for its energy source. ATP allows a cell to do its job, no matter what it is, just like gas in a car engine. When ATP is being used to fight a chronic latent virus, it is potentially diverted from other cells working to complete other tasks. The modulation of the immune system and efficient management of HSVs is critical to a person's overall health and ability to maintain successful completion of other physical tasks in the body. Another recently stunning report shows that STD rates are drastically on the rise for the 4th consecutive year. While the major increases are in chlamydia and gonorrhea, indications are that the presence of these diseases in individuals may increase the risk for contracting HIV. All STD-related bacteria and viruses may play a role in this type of increased risk as they all place extreme demand upon the nervous and detox systems in the body. In functional health practices, the first and most critical step is to create a strong, individually unique terrain in the body that does not allow the development of breeding grounds for these types of pathogens. Only a surprisingly few genetic mutations are responsible for disease in and of themselves without influence from toxins and/or pathogens in combination with the status of the hosts' defense mechanisms - if we fail to locate the source of the stress, we also fail to correct the problem from its root cause(s). Medicine's myopic vision of the body and standardized approaches to everyone's issues in the same way is not only ineffective in many cases, it is uncomfortable and damaging in many cases as well. Of greatest importance is to stabilize the body first. My practice at True Nature Health Consulting is to utilize Metabolic Typing® to begin that process. Next, the miracles of herbal antivirals can be applied, along with immune supports such as CBD (cannabinoids), medicinal mushrooms, monolaurin, polysaccharides, glycoproteins, and numerous other potent and effective substances which restore/modulate the microbiome and associated immune capacity of the body. (9) There is both hope and effective science for people who have suffered viral and retroviral infections with compromised energy, immune and methylation functions, even after decades. Dedicated researchers and scientists devoted to the facts and to documented effective therapies have proven this, as have functional practitioners such as myself who employ these methods.